With over 200 years of combined towing, roadside and diesel repair on staff, Tommie's Auto & Diesel knows its our team of professionals that propel us to being one of the best heavy truck service providers in the country. Brenda Bristow's father started this business over 40 years ago when she was just 12 years old. She worked alongside her father learning every aspect of this company from the ground up before eventually taking over. Brenda has been recognized by the National Register of Who's Who in Executive and Professionals for the year 2000 to 2001, Dun & Bradstreet's Women-Owned Businesses, the American Towman Academy Certificate of Achievement in November 2006, and belongs to the South Carolina Towing and Recovery Association and the Towing & Recovery Association of America. 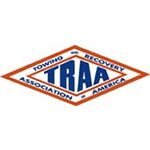 Brenda was also awarded the prestigious American Towman ACE Award, presented by American Towman Magazine in November 2006, as Tommie's ranked in the top 1 percent of towing service providers. Together, Brenda and Nate are members of the South Carolina Towing and Recovery Association, The National Association of Small Trucking Companies, the South Carolina Sheriff's Association, the Towing and Recovery Association of America, NFIB, National Trucking Federation, Tow Partners, National Truck & Trailer Service, TruckDown.com, and Trucker Pages. 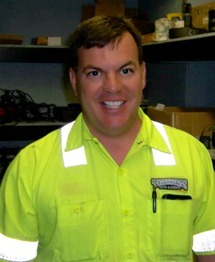 Nate Bristow works hand-in-hand with his wife Brenda to oversee all aspects of Tommie's Auto & Diesel Repair. 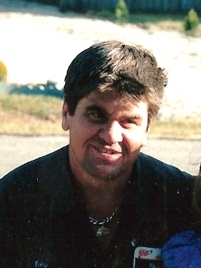 Having moved here in 1992 from Atlanta to live with his grandfather, he has excelled a career in firefighting, auto and diesel mechanics, rescue and recovery. Prior to working with Tommie's he owned Auto Pit Stop which is now a part of Tommie's, worked for Marchant Chevrolet as a Technician for 4 years, Hoover's Wholesale as a Technician for 4 years and was with the North Charleston Fire Department for 2 years. After graduating high school in Walterboro in 1993, Nate received his Master Technician certification from General Motors Corporation in 1998, his Firefighter II certification from the South Carolina Fire Academy in 2001 and his EMT Certificate from LowCountry Trident Technical College in 2004. Other certifications he's been awarded include: Haz-Mat Technician, Jasper Engines Diagnostic Clinic, and WreckMaster Certification Levels 2/3, 4/5, 6/7. His most recent, WreckMaster Level 6/7 is most impressive, as he's only 1 in 300 in the world to have attained this certification level. Nate has also been awarded the Jack Mock Memorial Award from the Colleton Rural Fire Department in 2005, the Colleton Rural Fire Department Firefighter of Quarter 2005 Award, American Towman Academy Certificate in November 2006, and awards from the Board of Directors for SC Towing Association and the American Traffic Safety Service Association for Emergency Traffic Control. He is also a member of the South Carolina Firefighters Association. Serena Musgrove is the Office Manager of Tommie’s Auto & Diesel Repair and handles the day-to-day dealings with shop, including dispatching, invoicing, inventory and customer service. In 1999, Serena moved to Round O, SC from Fort Atkinson, WI. She has been with Tommie’s since 2004. Prior to working at Tommie’s Auto & Diesel Repair she was an executive administrator and a forklift operator in Fort Atkinson, WI. 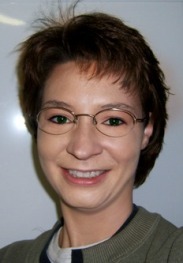 Serena holds an Associates Degree in Administrative Assistance and has in-depth organizational and purchasing skills. In her off time, Serena enjoys whitewater rafting on the Chattooga River in South Carolina and the Ocoee River in Tennessee. She also enjoys going to hockey games and traveling to Caribbean Islands for vacation. But most of all - she loves spending time at home with her three cats, Morgan, Butters and Colby Jack. Melissa Parrish came to Tommies in 2014 as a dispatcher and administrator. In addition to those duties she is versed in customer service, invoicing and purchasing. She has over 15 years of experience in this field. 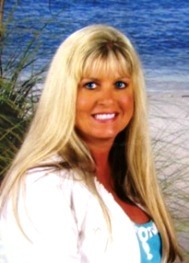 Born and raised in Walterboro, SC, Melissa has an Associates Degree as a MC Specialist. In her off-time Melissa volunteers at Colleton Medical Center and is PR Chairman of the Walterboro Elks Lodge. She enjoys travelling with her husband, karaoke and hanging with her Boykin Buffie. William Crosby started working with Mr. Tommie Kinard when he was 17 years old sweeping the parking lots at the truck stop. He then learned how to work on trucks with Mr. Tommie and Tony. 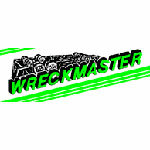 When he got his CDL in 1987, he then started driving the wreckers. When Mr. Tommie got ill, William started helping Nate and Brenda with the Wreckers and in the shop in 2001. William is cross-trained to be able to operate all the wreckers. 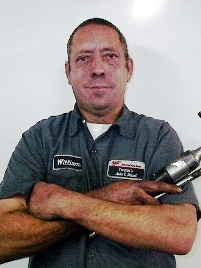 He performs Road Service and is an Auto and Diesel Technician in the shop. When William is off he enjoys Deer Hunting and Fishing. William is married and has 2 Sons. Perry Crosby started with Tommies in 2014. He specializes in mounting and dismounting tractor-trailer tires. Perry has over six years of experience in this field. When Perry is not on a call you can find him on the premises detailing our equipment and facility. Tony is the son of Tommie Kinard. Tony started working for his dad at the age of 9 years old. Tony helped his dad with all the mechanic work on the logging equipment and at the Truck stop. At the age of 17 years old Tony bought his first truck and ran it all over the US. When Tony wasn’t on the road he was building Diesel Engines and Transmissions for his dad at the shop. 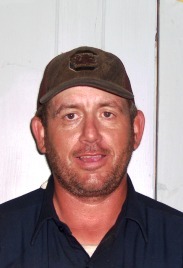 In 2003, Tony started helping Nate and Brenda with all the Diesel Repair at Tommie's Auto & Diesel. Tony Kinard has a made a name for himself; he is probably one of the best Diesel Technicians on the East Coast. 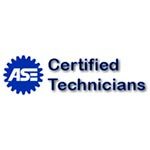 Tony trains all of the Technicians on Diesel Engines at Tommie's. When Tony is not working he enjoys Building Race Engines and watching NASCAR.